The type of birth control pill you take will affect the kind of side effects you'll experience. Many women who take birth control pills will use what are known as combination pills. Combination pills use estrogen and progesterone to stop pregnancy from occurring. Side effects for these types of pills include weight gain, nausea, blood clots, irregular periods and moodiness. Other women take a progesterone only birth control pill, called the mini pill. For the mini pill, side effects include moodiness, weight gain, cramps and ceased periods. In most cases, side effects from birth control pills decrease as the women develop a tolerance to the medication. Women that reported side effects noted most side effects stopped occurring after taking the birth control pill over a 3-month period. If you have side effects for a much longer period, your doctor will likely recommend switching to a different type of pill. Research has shown that smoking can increase a woman's chance of developing birth control pills side effects. Doctors advise against smoking while on the pill because it puts you at a higher risk for suffering blood clots. Your heart attack and stroke risk also intensifies if you smoke and take birth control pills. Women who are over the age of 35 and smoke are even at a greater risk of suffering health consequences while on the birth control pill. Many health professionals use the A-C-H-E-S acronym to determine the severity of a woman's side effects while taking birth control pills: (A)bdominal pain, (C)hest discomfort, (H)eadaches that are critical, (E)ye disorders, including blurry vision, and (S)erious pain in the legs or arms. Let your doctor know immediately if any of these side effects occur while you're on birth control pills. Some women do have uncomfortable side effects, like cramping, moodiness and bleeding, while using birth control pills. However, some side effects of birth control pills can actually prove beneficial for the user. Birth control pills can aid in clearing up acne, and some doctors prescribe it specifically for this reason. Some women also have more regular periods with less episodes of heavy bleeding. Additional beneficial side effects include protection against diseases that target a women's reproductive system. 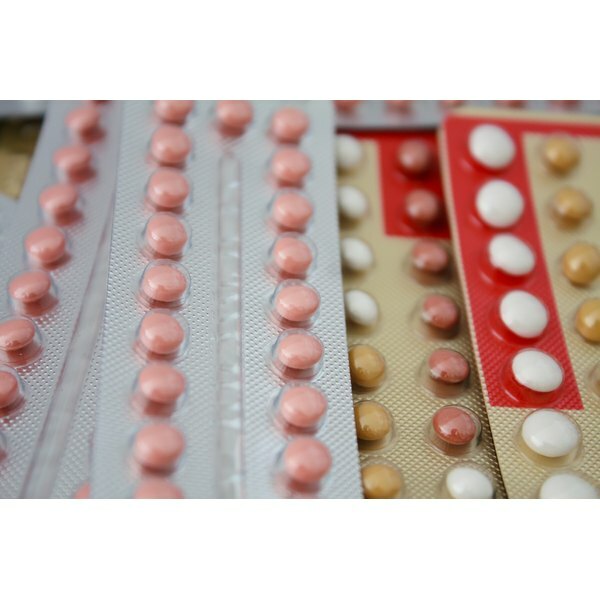 A reduced risk of ovarian cancer, cysts on the ovaries and breast disease has been reported in pill takers.